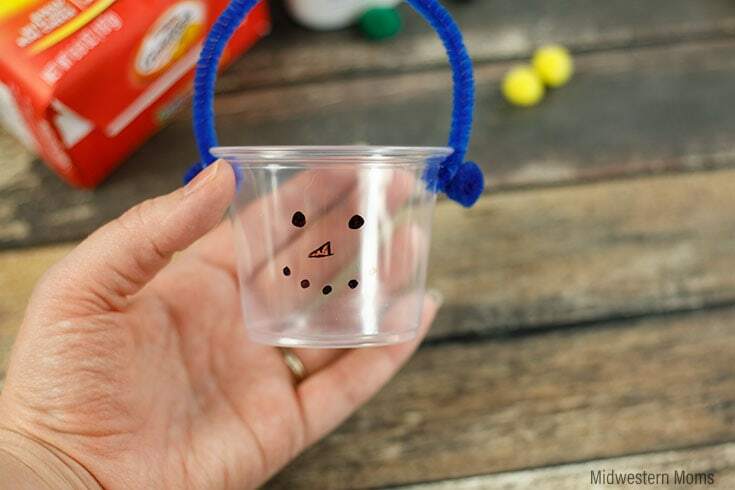 Make snack time fun with Snowman Snack Cups! 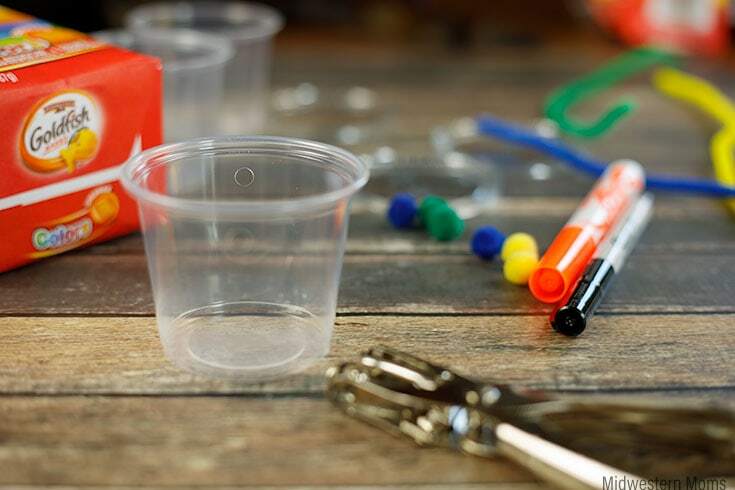 A fun craft that kids or adults can create! 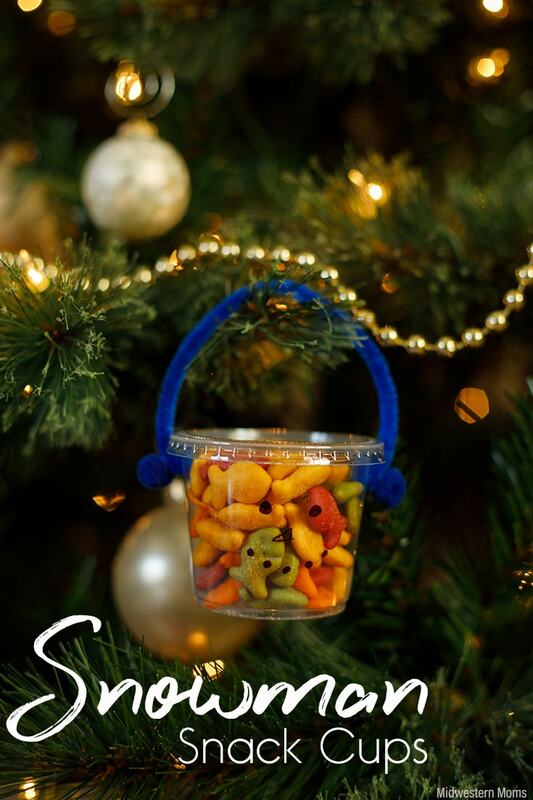 These little snack cups are perfect for holiday celebrations or for kids to hand out to their fellow classmates! 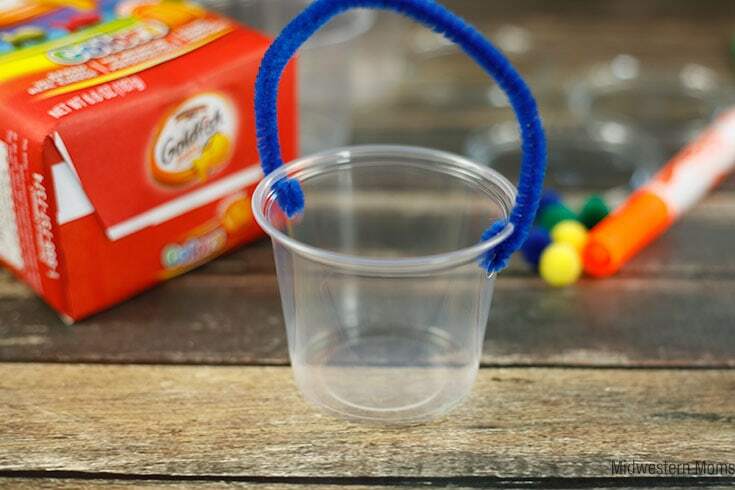 Kids can easily make these cups and they would have so much fun! 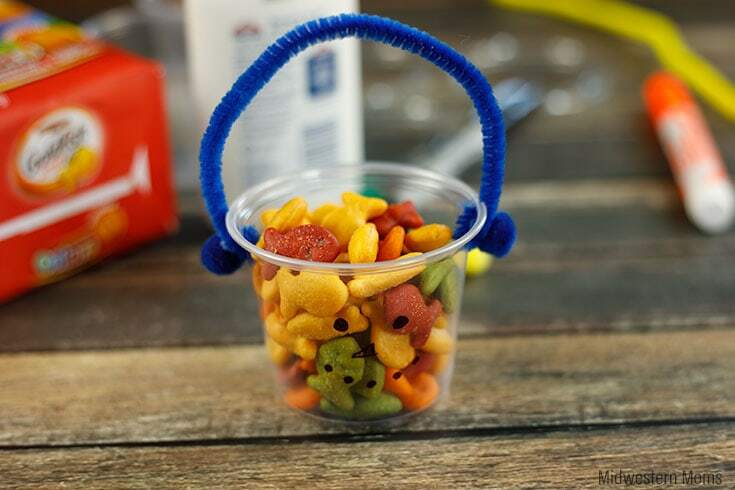 snacks – My boys love Goldfish crackers, so I chose to put these in the cups. 2. Using the hole punch, punch 2 holes in the sides of the cups. Make sure they are across from each other. 3. Cut about 2 inches off the end of the pipe cleaners you will be using. Then make hooks on the end by bending the ends up on the pipe cleaners. Hook them into the holes in the cup. This will be the snowman’s ear muff band. 4. 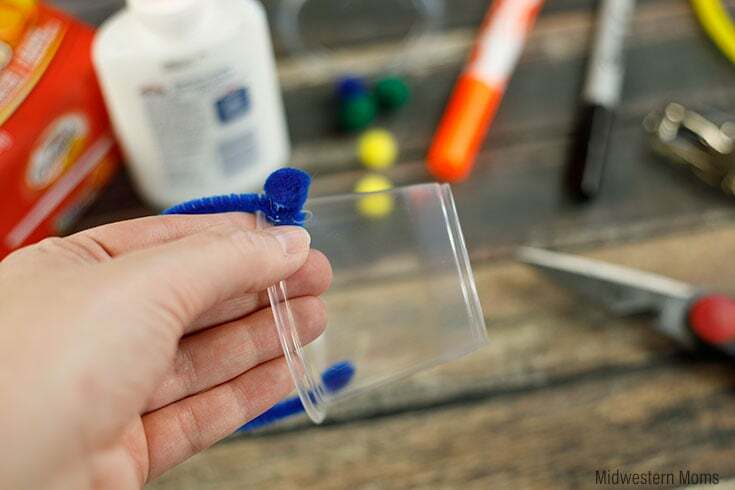 Add a dab of glue to the end of the pipe cleaners. 5. 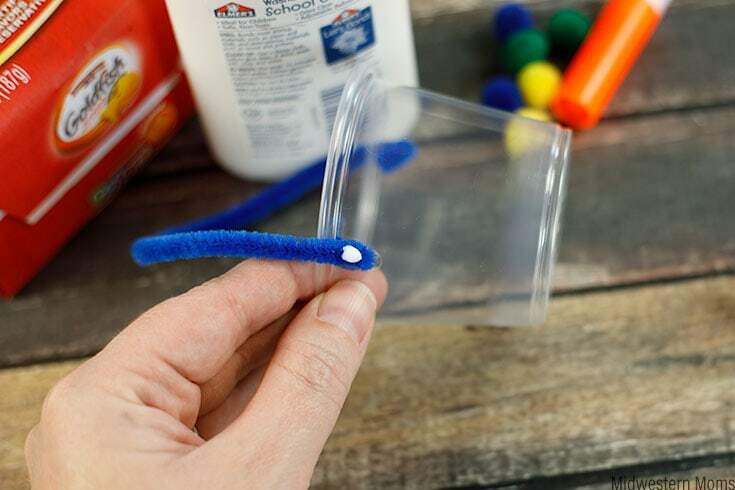 Place a small pom-pom on top of the glue dot. These will complete the ear muffs. 6. Using the markers (permanent markers work best) draw on a snowman’s face. 7. Fill with your favorite snacks. 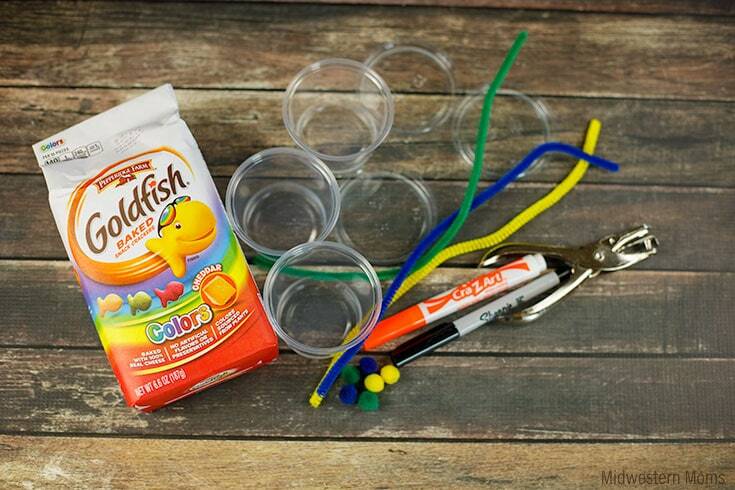 Goldfish Colors cracker work great for this project! They are always baked with real cheese and they contain no artificial flavors or preservatives. The colors are sourced from plants! 8. Add the lids to the snack cups and the snowmen are complete!! 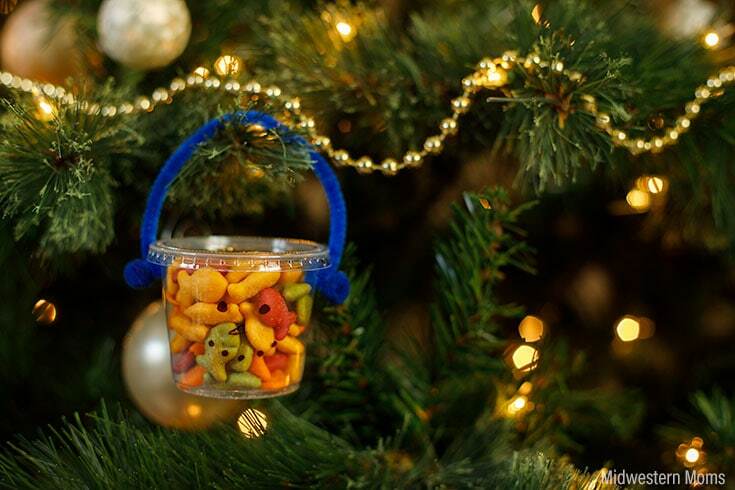 These also make great ornaments! They would be fun to make and hang on the tree for the kids coming over to your house to celebrate!! These are such a great idea for children of all ages. I have teens and they absoutely love all of these kinds of things. 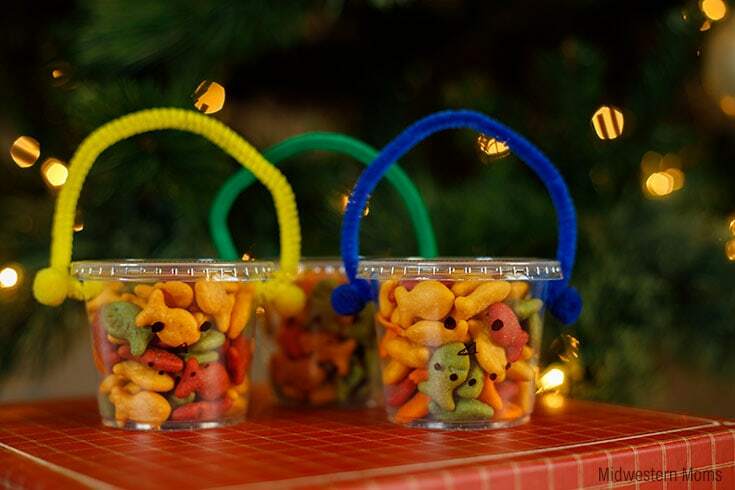 Not only for the snacking but for making them for their little visitors of friends and other children coming in to visit through the holidays. This would be a great family project. For any time of year. Make an Easter tree with these. Or a 4th Of July fire cracker with little handles to hand these on. Just add different decorations for the same time of year and the according holiday. I am so happy this was sent to my email. Thank you. This is a treat that will be used throughout the entire year holidays or not.